This key holder is rectangular in shape. A traditional women is depicted on the front of the holder. The holder has capacity for two keys. Read More..Beautiful gemstone painting is done which beautifies this showpiece. This product is simple yet catchy. 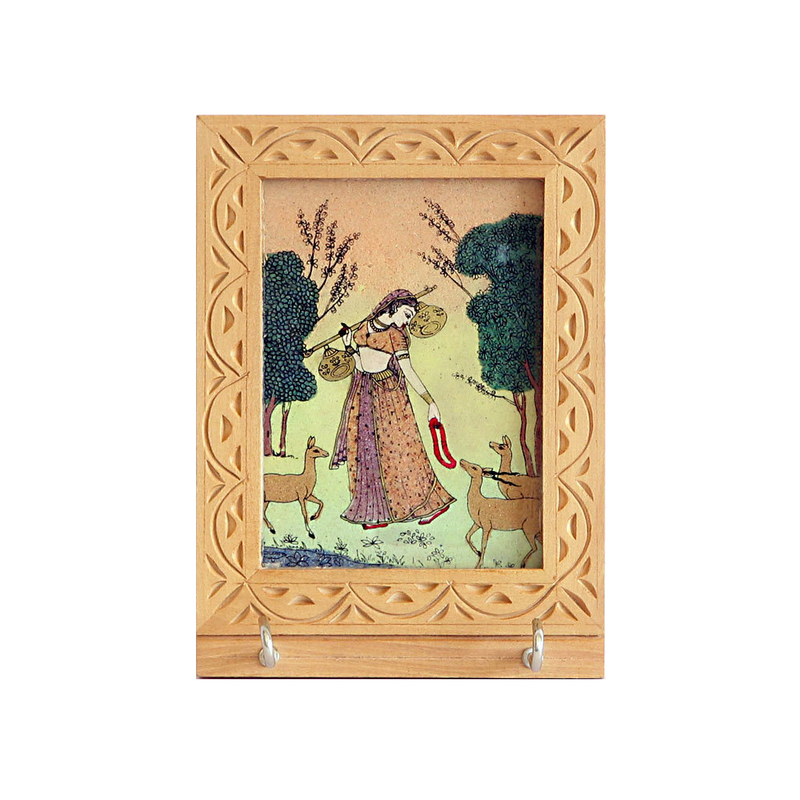 Moreover the key holder is a small and useful one which can be decorated as a wall hanging. This wooden key holder is surely attractive. Show Less..